Every quarter we bring you updated versions of portfolios by investing “gurus” like Carl Icahn, Bill Gates, and Warren Buffett. 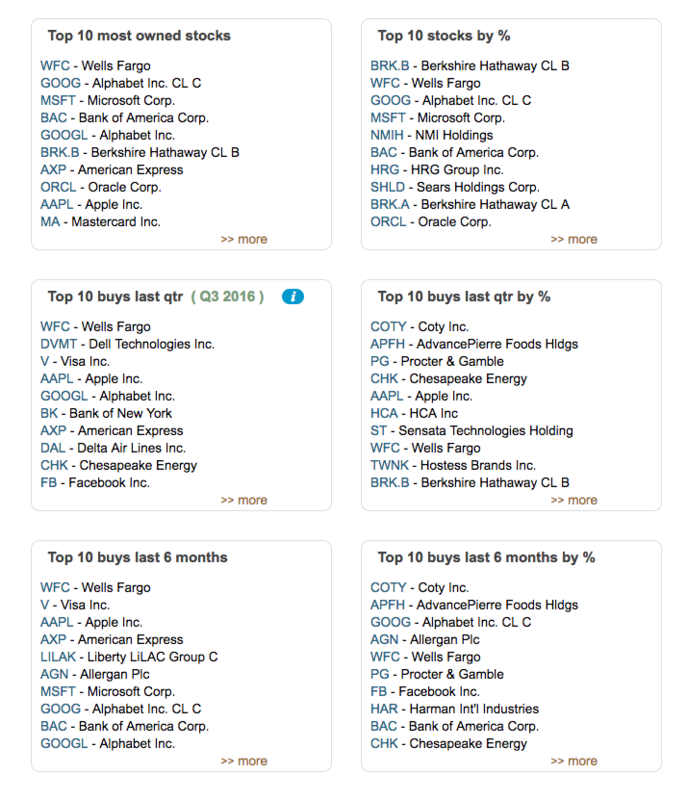 See what they bought and sold in Q3 2016 (and in past quarters) by downloading their portfolios directly into your Stock Rover account for free. Just head to the Library (via the Start menu) and choose ‘Portfolios’ from the left menu. Then select the portfolios you are interested in, and click ‘Import.’ If you have older versions of the portfolio, downloading the most recent one from the Library will automatically replace it for you. The portfolios can then be found in your Navigation panel. See how the portfolios are doing by comparing performance in the main Table, Chart, or Portfolio Analysis window!